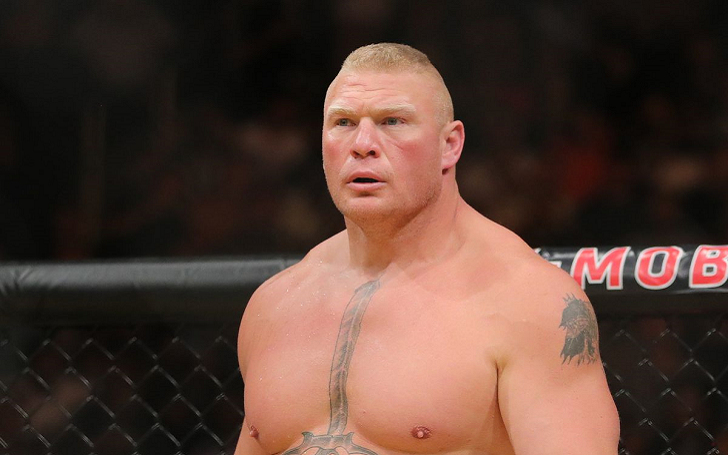 WWE-UFC superstar Brock Lesnar was expected to return to the Octagon to challenge Daniel Cormier for the new year for DC's heavyweight title. Despite being tested for the five times in 2018 as part of the USADA drug test program, the former UFC heavyweight champion has a final hurdle to clear before he goes to the cage. Lesnar is eligible to compete earlier than Jan. 8 2019, but at least not in Las Vegas, Brock will not be able to challenge Cormier until he pays the Nevada State Athletic Commission $250,000. Lesnar was hit by a whopping quarter - million - dollar fine and a 12-month suspension in 2016 after testing positive for a performance enhancement drugs. His UFC 200 victory over Mark Hunt was overturned to a No-Contest. NSAC Executive Director Bob Bennett told MMA Weekly Ken Pishna that Lesnar still had to pay his fine and was, therefore, unable to compete in Las Vegas. (Lesnar) is still suspended on the basis of his fine, and he has to pay the fine or set up a payment plan with the Attorney General's Office (to be cleared of suspension)"
Lesnar's last official win came in 2010 when he presented Shane Carwin with the aim of retaining his heavyweight UFC. Before the fight against Mark Hunt, Lesnar dropped two losses to Cain Velasquez and Alistair Overeem and lost both fights via TKO in the first round.